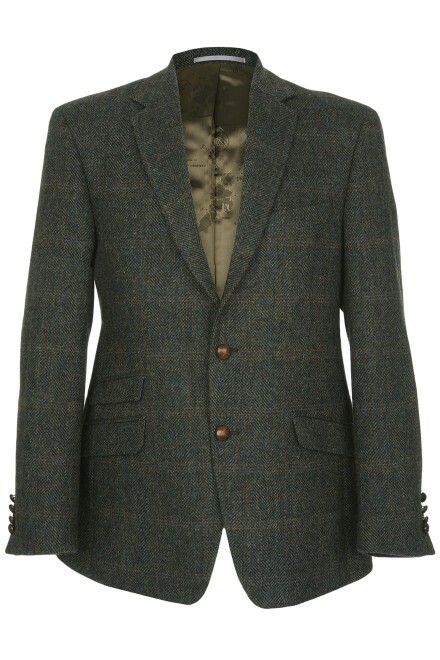 The 'Cirino' is a stunning contemporary Harris Tweed jacket made especially for us by Atelier Torino, with a distinct flavour of Italian style. Elegance in design with the highest quality tailoring. Satin lining featuring Map of the Outer Hebrides and the Harris Tweed 'orb'. Green & brown herringbone with a subtle blue & tan overcheck. Dark brown mix with subtle brick-red and charcoal over check.